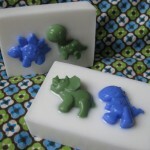 Let’s face it, dinosaurs are cool. 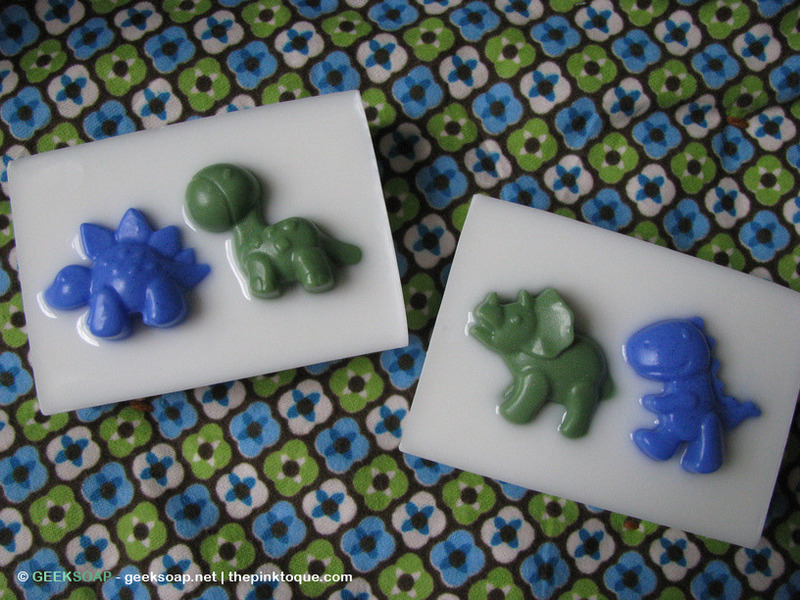 And it just so happens that the theme of our nursery dÃ©cor is all about dinosaurs, which prompted our hugely successful (thanks to inspiration from @KatieDoyle and promotion by Think Geek!) 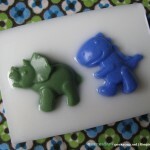 Operation Geekling Dinosaur Project**. 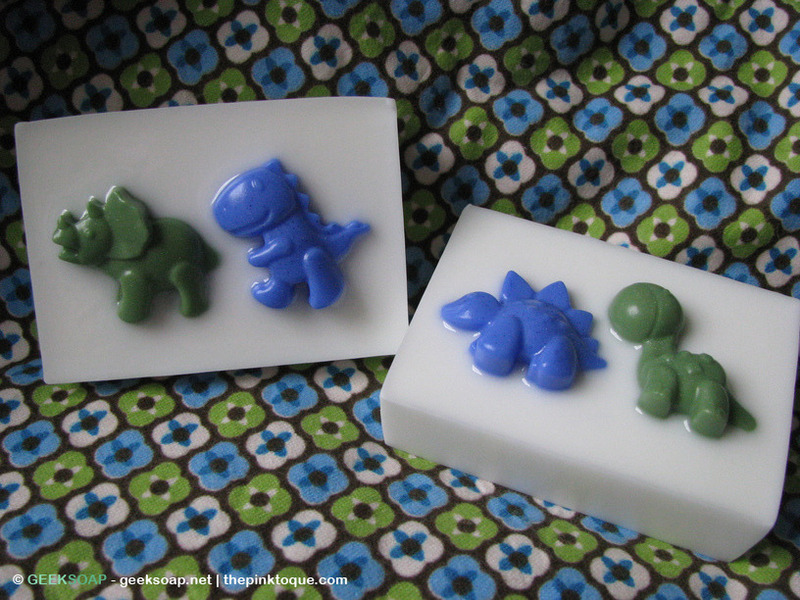 As you can imagine, we’re a little dino-crazy around our house right now between the growing geektastic dino nursery, this past weekend’s dinosaur themed baby shower, and preparing for the arrival of our little bundle of joy next month. 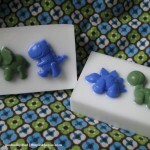 I crafted up these DINO-mite soaps as baby shower favors for friends and family. Each one is made from all natural ingredients and have a light powdery scent, reminiscent of cuddles and freshly washed onesies. 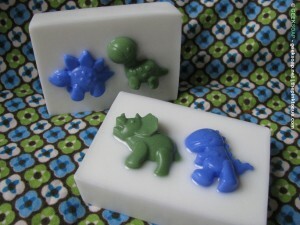 As always, they’re also vegan friendly! 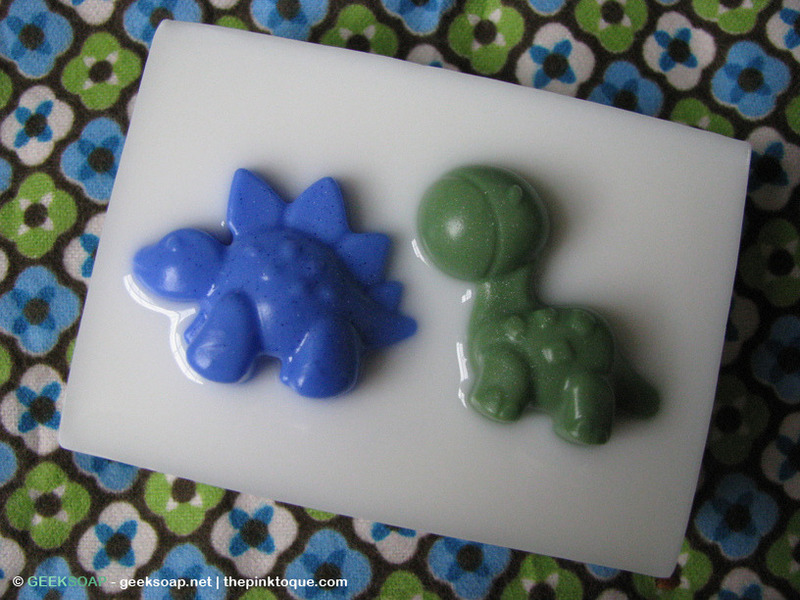 Ask and you shall receive; I had a lot of people request I make these available to the masses for purchase, and now these ridiculously adorable soaps areÂ up in the GEEKSOAP shop just for you.Â NowÂ you can rub dinosaurs all over your body, too! 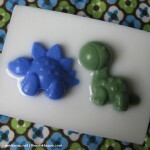 **What’s Operation Geekling Dinosaur Project? 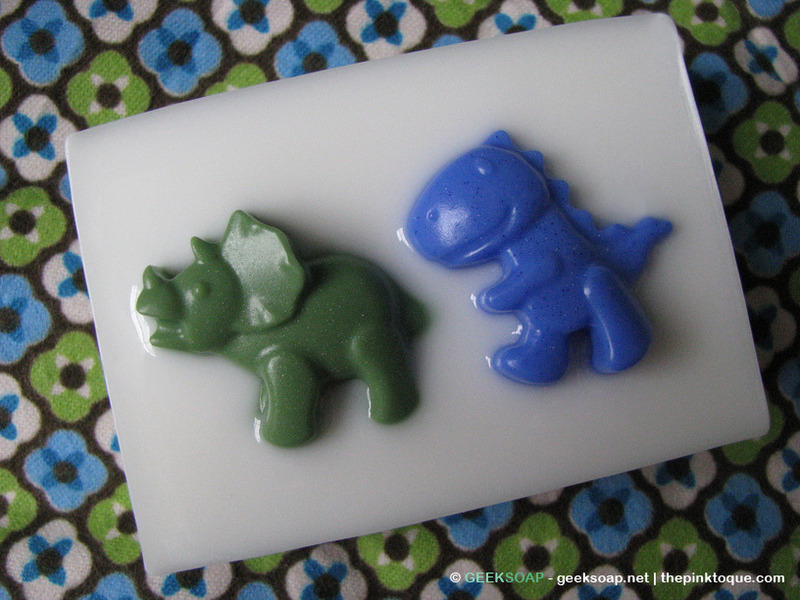 Read our Call for Submissions back in March, a recent update post, and check out the official Flickr gallery for lots of awesome dinosaur goodness. 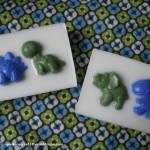 I’m thinking these soaps might be very cute at a baby shower Im throwing in March. How much would these cost a piece? I would need at least 60. Thanks! !